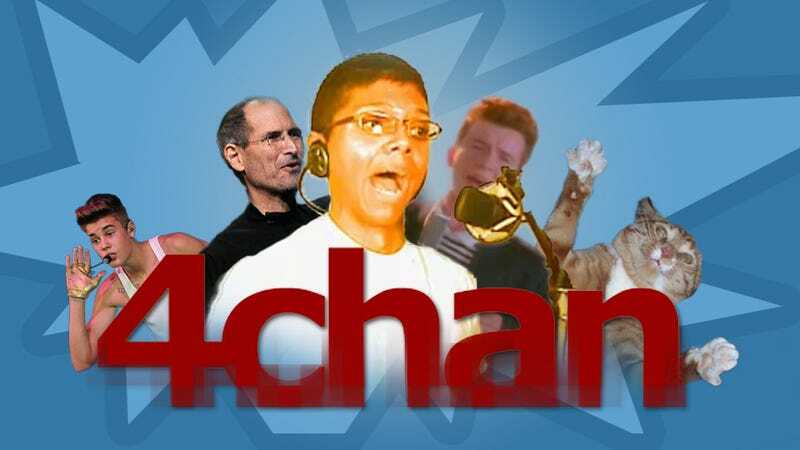 Incredible as it may seem, today 4chan turns a full 10 years old—hello tween years! But 4chan is, let's say, advanced for its age. And the precursor to pretty much the entire internet as you know it has given us a whole lot to think about over the years. Some of it was fun! Some of it was pretty awful. At least we can agree that all of it was definitely impactful. Here are some of the best, worst, and occasinoally morally ambiguous things 4chan has bestowed upon us in its decade of life. 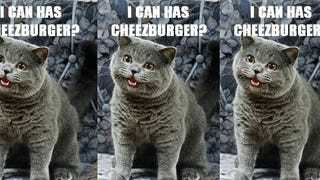 Sometime in 2005, an (surprise) anonymous user posted a picture of a relaxed cat waiting for "Caturday," and from there, an internet obsession was born—for better or worse. Originally beginning as "duckrolling," 4chan's founder, Christopher Poole, played a little prank on his rapt audience by making it so that anytime a user used the word "egg" the code would change it to "duck." Soon, the duck become an in-joke, with users linking to this video under false pretenses. All it took was one user swapping out a duck for Rick Astley, and the rickroll was born. Despite the fact that Time ended up telling a very different story, for one brief, shining moment, Kim Jong Un was America's choice for Person of the Year. When a young British guy discovered that his neighbor had been tossing his cat into a trash can, the internet was aghast, 4chan rallied, and the bane of animal lovers everywhere was brought to justice. Now an internet institution in its own right, the controversial group of hackers has taken the vigilante mentality they fostered on 4chan and used it to do some good. Causes include but are not limited to: taking down pedophiles, taking down a white supremacist radio show, and taking down the Westboro Baptist Church website. After attempting to fool Beliebers into belie(b)ing that their idol had cancer, the quest initiated by the notorious /b/ forum upped the ante from tweeting about cutting their hair for Bieber to dropping the hair part all together. These were the results (be warned: graphic image of self-mutilation follows) here. It was bad. In 2008, a rumor began to spread that Apple's CEO had passed away from a heart attack, and Apple's stock fell about 10 percent in the process. Of course, none of it was true, and the rumor was traced back to none other than 4chan. As a way of supporting the absurd racist arguments painting Trayvon Martin in a bad light, a white supremacist hacker got into the deceased teen's email and posted strategically arranged screenshots to the 4chan board /pol/. 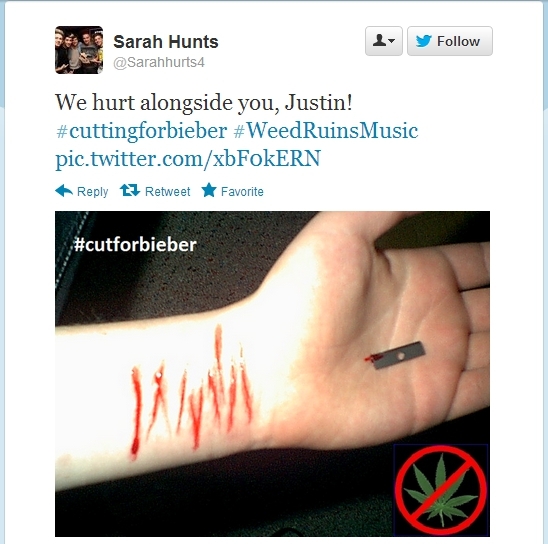 Because something about him smoking marijuana would surely justify a murder. In 2006, Jake Brahm posted "joke" threats on 4chan of his intent to bomb NFL games on the final day of Ramadan. He was later sentenced to six months in prison. Then again in 2007, a student "jokingly" posted photographs of a mock pipe bomb on the site claiming intent to blow up his high school. He was arrested before school began that day. After an 11-year-old girl posted a video decrying her haters, 4chan users found her address and phone number before proceeding to make threats and eventually stage a suicide hoax. Jessi eventually went under police protection. Justin Bieber wanted to know where his fans wanted him to go on his next tour. 4chan wanted him to go to North Korea—which would have been bad! But also hilarious. Taylor Swift wanted to meet a fan. A creepy man wanted to smell her hair. 4chan made sure he won. The meeting would probably have bordered on sexual assault—which would have been bad! But... just look at that contest page.